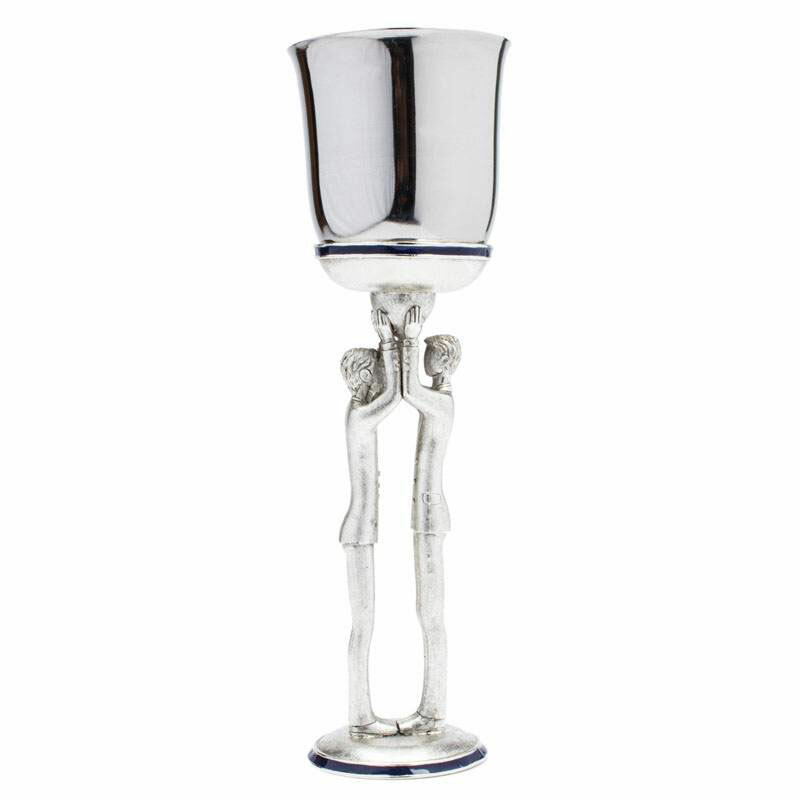 Stunning designer Kiddush cup - Groom figures. The cup is a high quality shiny silver plate with detailed filigree work and enamel. The groom's wedding kiddush cup depicts the beauty of love. This hand painted and hand sculpted kiddush cup is truly a work of art. Each part of this product is handled with meticulous care by professional artisans. All hand made in the heart of New York City. Please allow 7 additional business days for delivery. Dimensions: H 9.35" W 3" L 3"
You will have the option to personalize this cup after you add it to the shopping cart.